In Utrecht, Natuurmonumenten has set out a fun treasure hunt for children and adults, using historical replicas set in concrete for educational purposes. 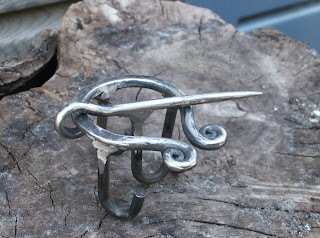 I made a large steel fibula brooch with sturdy hooks. 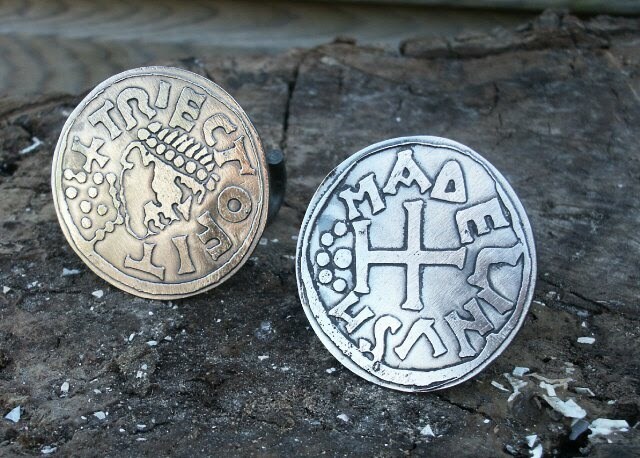 I enlarged the coin greatly, then etched the design with salt water. Added a few hooks on the back (not visible here).